Logan Steel is a second-generation, family owned steel service center in Meriden, Connecticut that adds value to raw material. One way Logan Steel accomplishes this is through fabricating and The Bargain Barn. The Bargain Barn opened up in the mid 80’s as leftover scrap material and grew throughout the 90’s. Now the Bargain Barn is fully stocked with over 1 million pounds of material. Logan steel continues to grow with their customers and adding value. With the increase in automated machinery and highly advanced computer controlled equipment, Logan steel wanted more output with less input. Howard "Howie JR" Lohmann and Erik Lohmann said, "Each upgrade was a step forward in automating processes while offering high quality and repeatability. That's where [fiber] laser cutting has been particularly helpful". Logan Steel was looking for laser in order to get higher repeatability and faster cutting in light gauge materials. The laser was also a way to open more doors to new work with the increased speed, tight tolerance and higher accuracy. It was the natural progression for Logan Steel’s customer base which drives their business. Logan Steel does have an HD plasma for the thicker materials but plasma does not have the tight tolerance that a laser has. 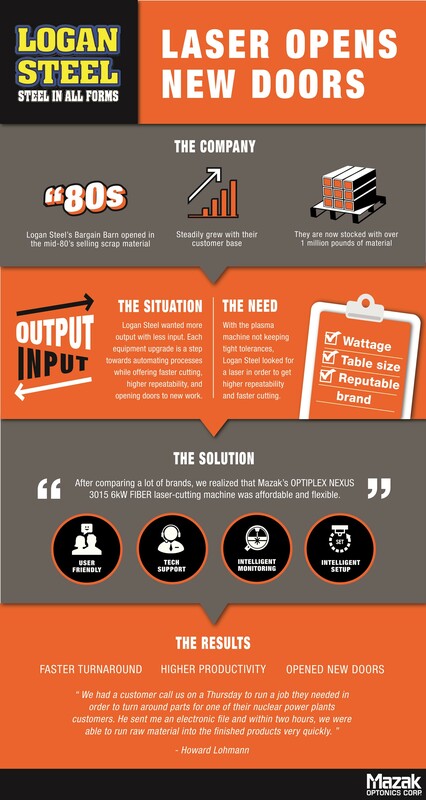 Logan Steel wanted that higher quality and more accurate cutting to fit their customer’s needs. Fiber lasers can cut a variety of materials with narrow kerf especially when used in conjunction with cooling agent assist gases like nitrogen or compressed air. Tim Tapper, Applications Manager at Mazak Optonics stated, "This has opened the door for laser-cutting to more and more intricate applications." While searching for a laser Logan Steel had requirements such as wattage, table size and sticking with a reputable brand. 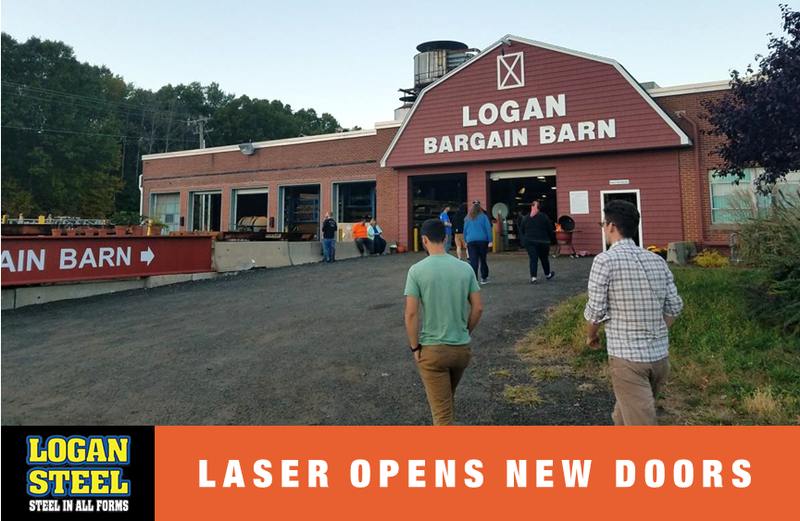 Lohmann stated, “There are many laser manufacturers but there are only a few that are a reputable brand.” After researching many laser options and visiting companies that have these machines Logan Steel made their decision. "After comparing a lot of brands, we realized that Mazak's OPTIPLEX NEXUS 3015 6kW FIBER laser-cutting machine was affordable and flexible." Lohmann liked a variety of things about the Mazak machine. The user-friendliness of the machine and software made it an easy decision for Logan Steel. Lohmann explained, "When we talked to other laser [builders], we were told we would have to bring in a tech specialist to handle problems or service. With Mazak, we can service our own machines, the consumables are readily available, and the tech support available to walk our guys through the problem remotely is fantastic and fast. We can't afford to be down for days at a time until someone can get over here. Instead, we can run a code or replace a valve or switch on our own and be back in business within hours, not days." These aspects made the Mazak OPTIPLEX NEXUS 3015 FIBER standout among the competition. The OPTIPLEX NEXUS FIBER has multiple intelligent monitoring and intelligent setup features which helps create optimum machine setup. These intelligent features have allowed Logan Steel to hire higher skilled and computer savvy operators. Instead of physically cutting all the time, most of the time is now spent programming which has lead to a decrease in processing wrong material. Lohmann explained, "It's fairly easy machine to run if you take the time to set up the parameters properly. Our guys perform a dry run and take their time and as a result, we end up with very little scrap. We make sure we know what we're doing before we cutting anything." Since implementing the OPTIPLEX NEXUS FIBER, Logan Steel has also had quicker turn around and higher productivity and opened new doors for their customers. "We had a customer call us on a Thursday to run a job they needed in order to turn around parts for one of their nuclear power plant customers. He sent me an electronic file and within two hours, we were able to run raw material into the finished products very quickly." 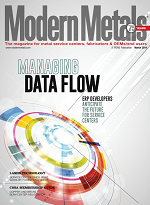 Full article written by Gretchen Salois and published in the March issue of Modern Metals.